DO YOU SMELL WHAT THE ROCK IS COOKIN’? Paella. He’s cooking paella. Big weekend for music. 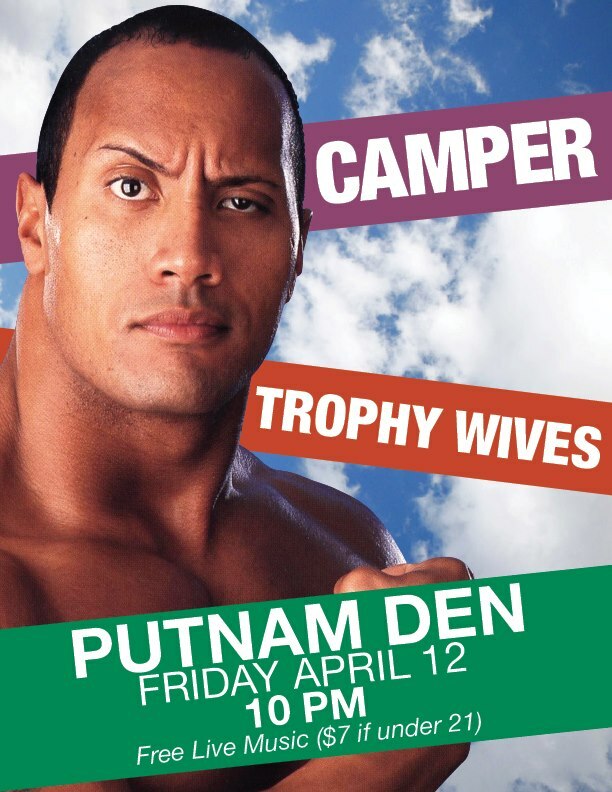 On Friday, the brave, hardworking lads of Camper and Trophy Wives will be playing at Putnam Den, a fun little prelude to Dirty Projectors on Saturday. The show is FREE, but it’s $7 if you’re a jabroni/under 21.